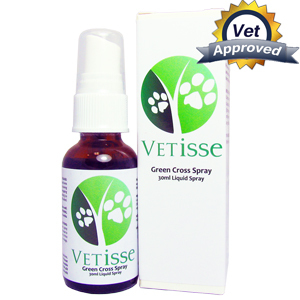 Green Cross Spray for cats is a great first aid product that treats various problems in your feline. This spray prevents and treats infection and inflammation due to cuts, scratches, and insect bites in cats. The reason this product is so efficient in the healing of these health concerns is the ingredients that it contains. Both Echinacea and Goldenseal have immune boosting properties which help your body fight off infection and speed up the healing process. Echinacea also has antibacterial properties which are essential for cat wound treatment. As for Goldenseal, this ingredient can not only improve your immune system but it can also help combat bacterial infections which may build up in your cat’s cuts or scratches. Together these ingredients help fight off infection as well as reduce inflammation in your cats cuts, insect bites and scratches. 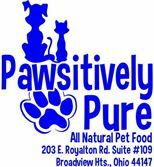 Spray this several times a day if your feline is licking or biting the cut. Green Cross Spray may affect the healing process, therefore be sure to cover the wound. Use gauze and wrap the infected area, do this repeatedly, at least 3 to 4 times a day. Be sure to spray and then cover so the product can continue to work under the gauze to heal the cut faster. If the cut or scratch is open it may sting due to the alcohol content in this product. The alcohol is an important part of the cleaning, healing and sanitation process. Although the alcohol in Green Cross Spray may cause your cat pain, it is important to still apply the remedy for proper healing.